Kelly and her partner Ally were married on July 7th. 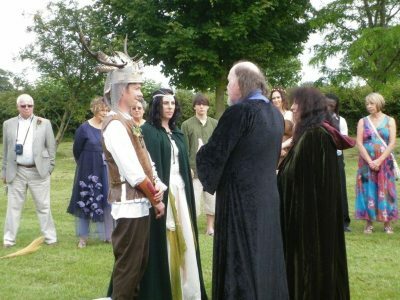 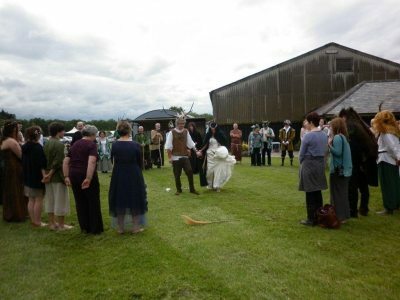 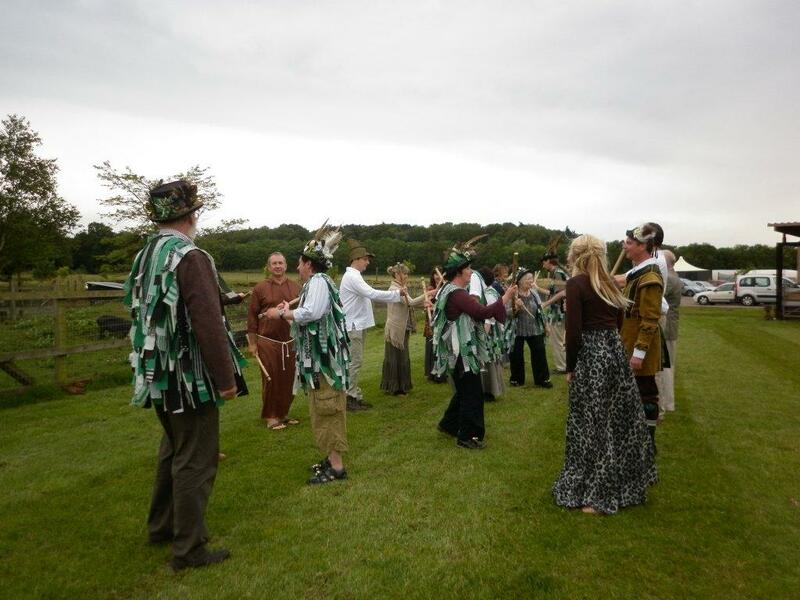 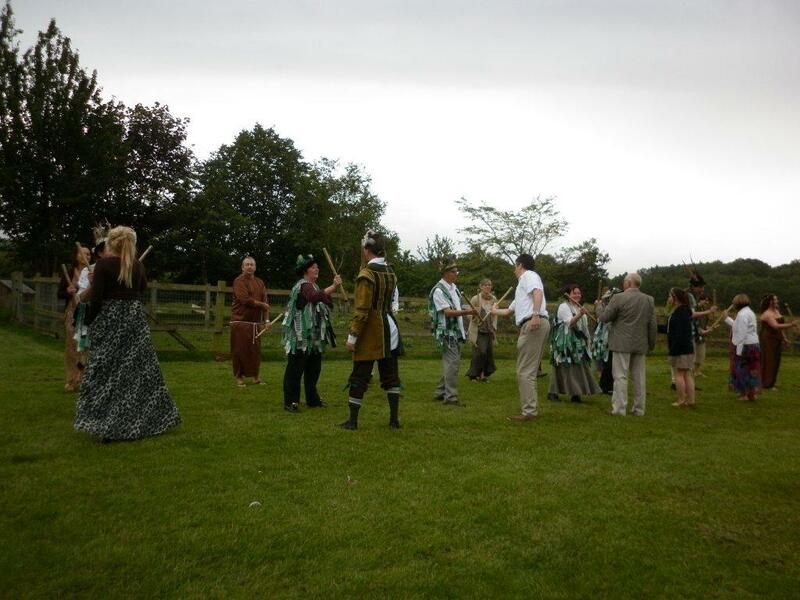 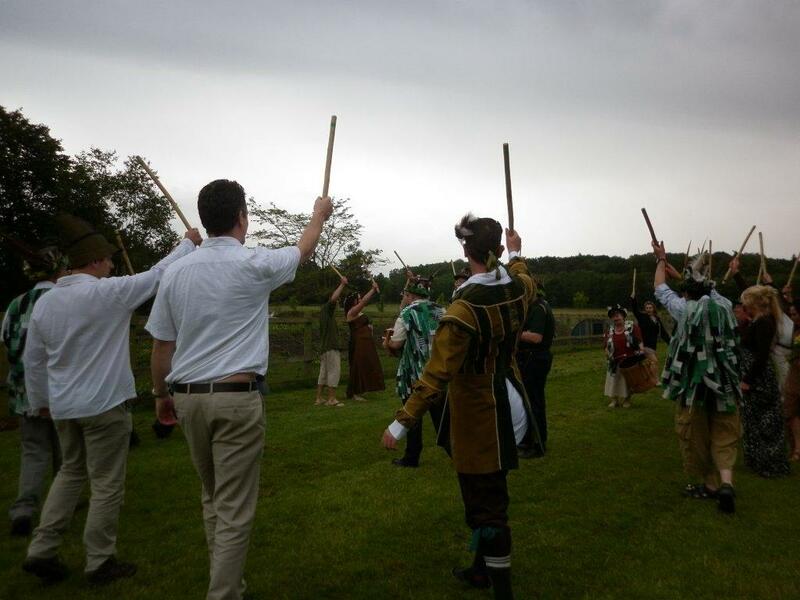 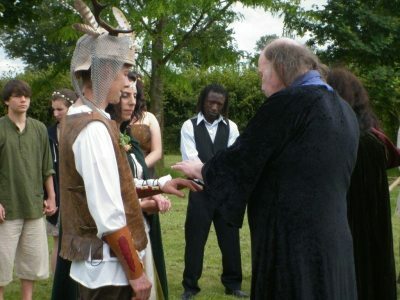 Following the civil ceremony, they had a handfasting ceremony, based on the traditions of Anglo-Saxon times. I'm not an expert in this subject, but I'll try to explain what is going on. The dress code for the occasion was medieval (optional!) 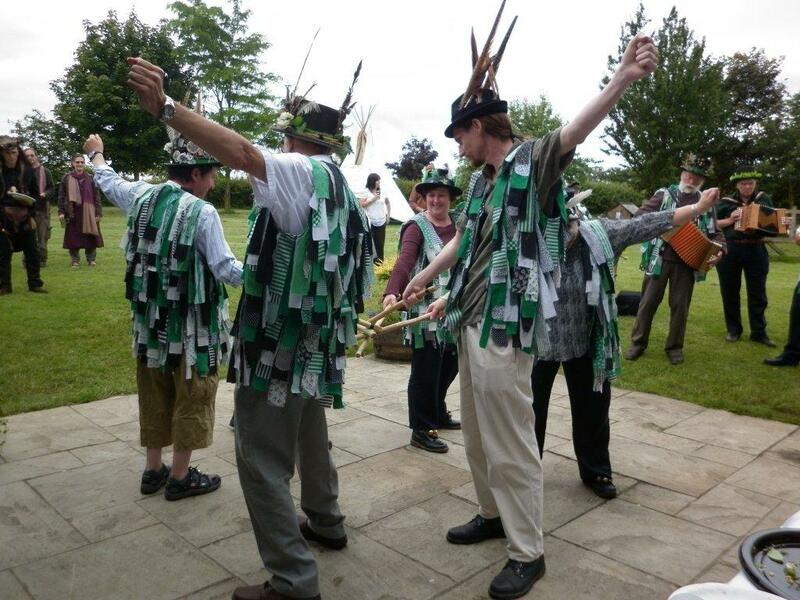 - we went as morris dancers. The first stage in the ceremony is for the "priest" and "priestess" to call upon the elements to seal a circle and make it a sacred and protected space for the ceremony. The congregation stand around the edge of the circle. 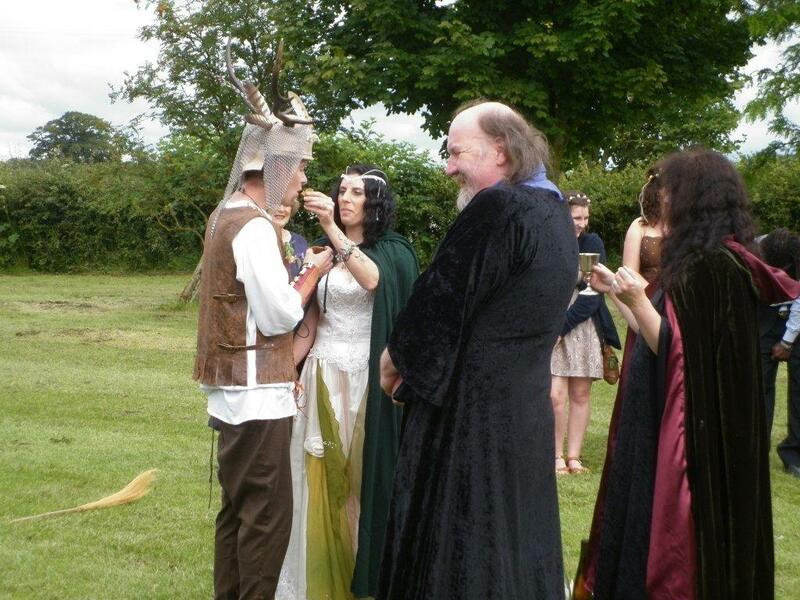 Ally's mum is the lady on the left in purple. The best man (Topoff) is in the circle behind the happy couple wearing a tailcoat and boarskin helmet. 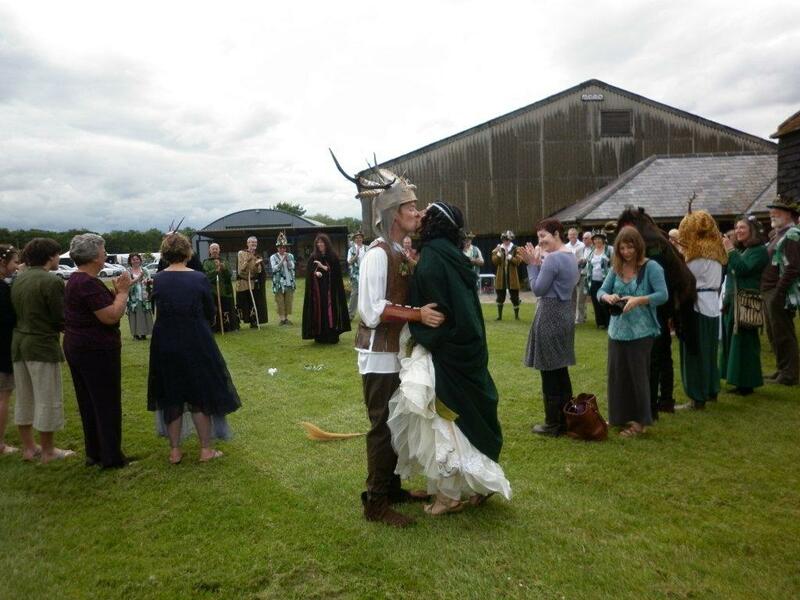 Gifts of cake and mead are consumed by the couple and the congregation. It's not easy when your hands are tied together - it symbolises looking after one another. 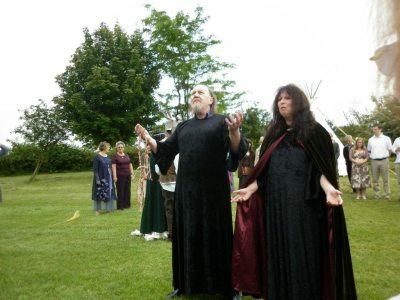 The couple "jump the broomstick" - which is the gateway between the sacred circle and the community. 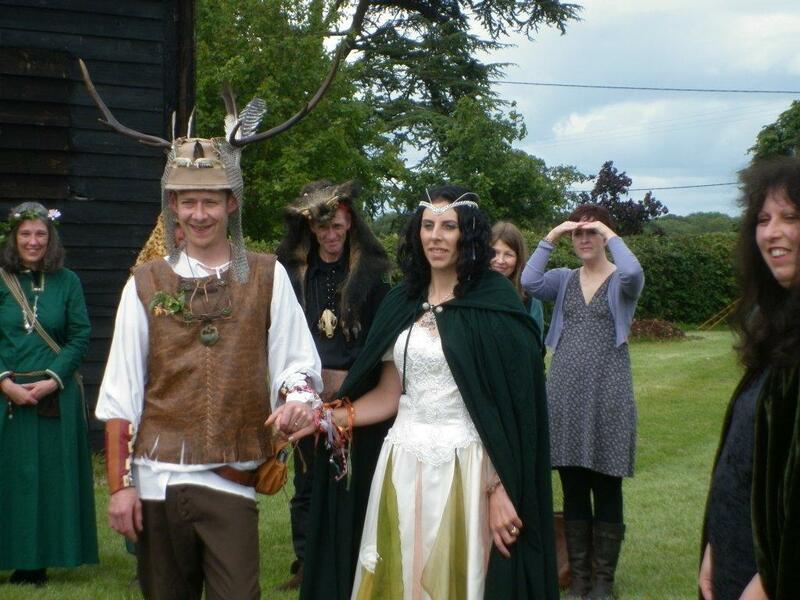 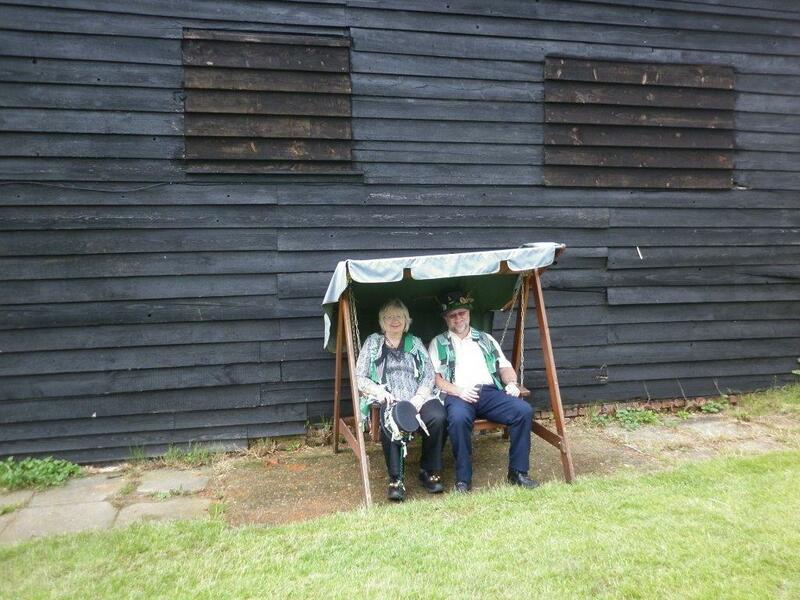 They are now recognised by the community as a couple. 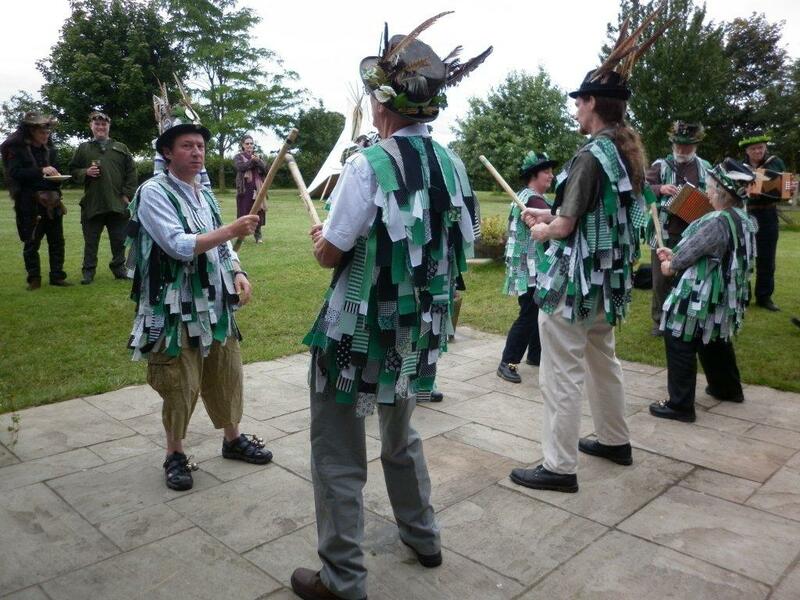 We did a couple of dances. Kelly declined to join in for fear of tripping over her dress. Witchmens Thistle seemed like an appropriate dance for the occasion. 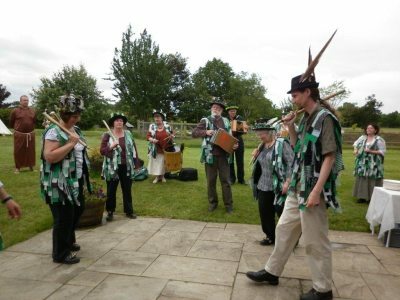 We set up an East Acton. 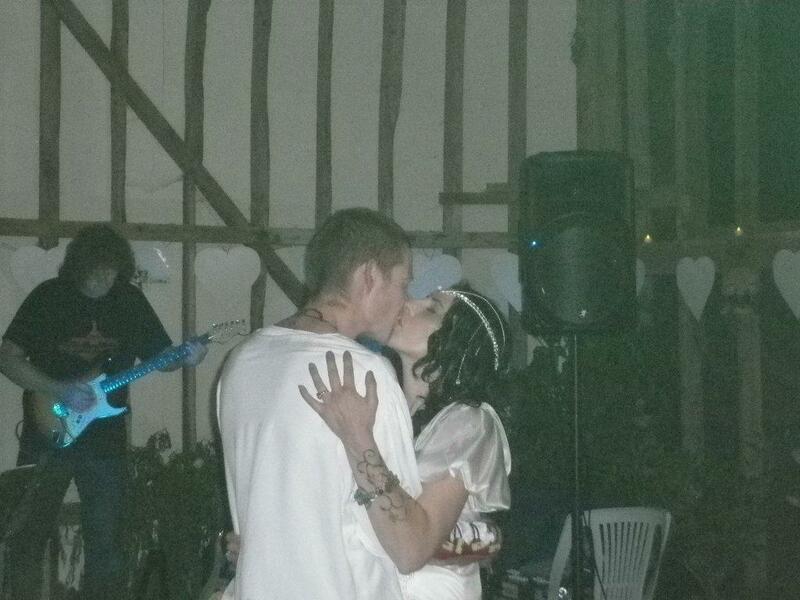 Both of Kelly's brothers (in white shirts) and her dad (Mike) are in the dance.